I bought a Gps tomtom for 99 bucks. The only problem was how to get power to it. Found this website and they sold all types of gps,phone mounts, everything. I also found the 12 volt plug to the gps. Most all are the same. usually usb type plug to the GPS. 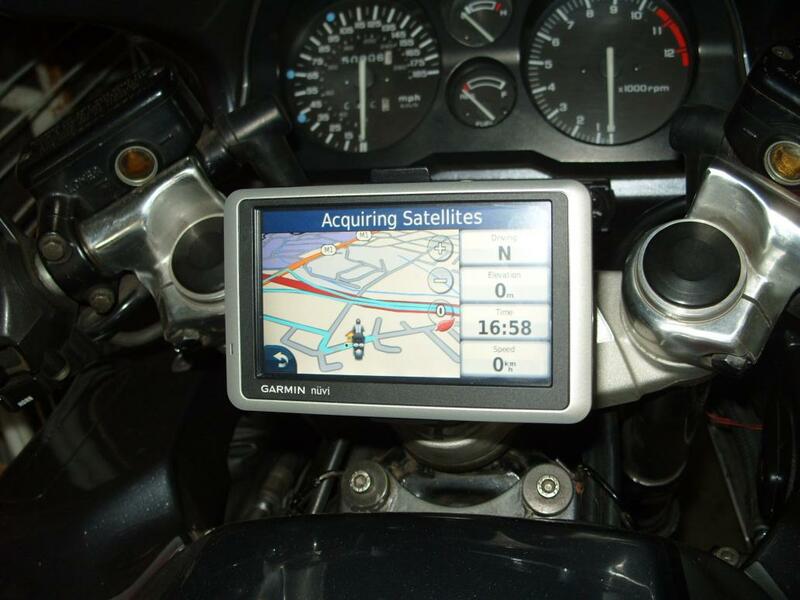 SPENT LESS THE 130 BUCKS, SAVED ALOT INSTEAD OF BUY THOSE 500-800 DOLLARS MOTORCYCLE GPS. I don't need all the blue tooth junk. You can mount it anywhere with the stock gps mount. As, long I know where is the next exit and where to go. I'm good. Last edited by CBRTONY; 02-04-2010 at 06:27 PM. Well, im sure im not the only "Old school" on here who can read a map & remember where to go in 500 miles either direction,its called following your nose,if your giving a dink ,well thats even better. If you ever want Bluetooth, it's easy to fit. Here's my installation on a 1000F. Power lead is similar to yours, but used a cigarette lighter plug to the battery. I've found it a lot easier than trying to ride holding a map, steering, watching the road, and not hitting other road users. Last edited by Shadow; 02-05-2010 at 09:18 AM. Isn't a map your only option down under? I mean, what would a Garmin say? "In 35 wallabies , turn left at the dingo"? 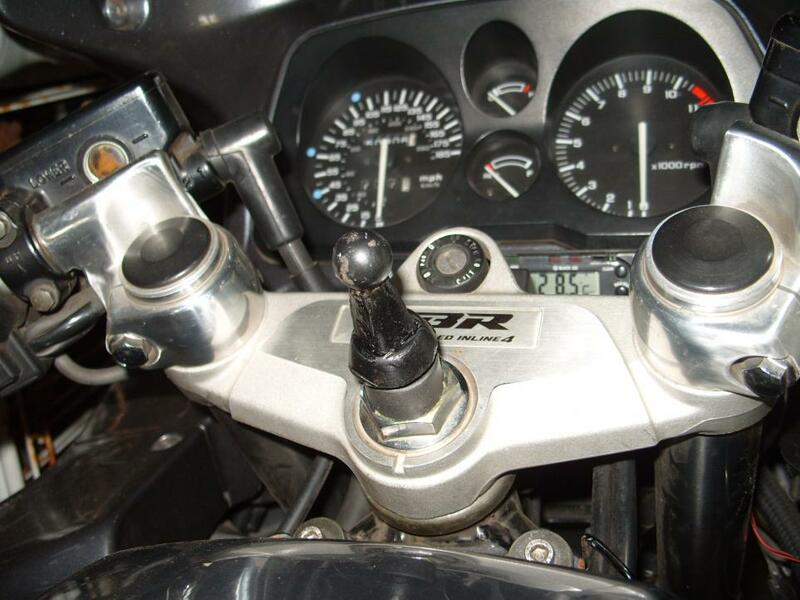 Not sure I'd like having my tach covered like that. Was considering a bluetooth helmet. I'd have to test and see if it linked with my phone correctly though. I mean, what would a Garmin say? "In 35 wallabies , turn left at the dingo"?